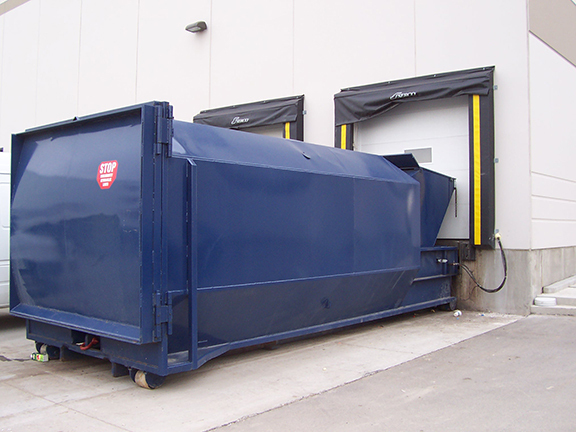 Equipment | AC Waste Services Inc.
Our vertical compactors fully enclosed design is safe, secure, and clean — making it the perfect choice for low volume, wet or dry waste. 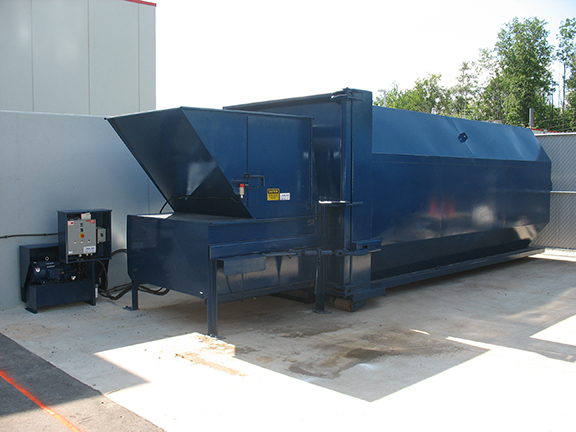 Our self-contained compactor features a variety of loading options to suit wet and dry waste applications of larger volumes. Industry leading compaction ratios substantially reduce existing haulage costs. 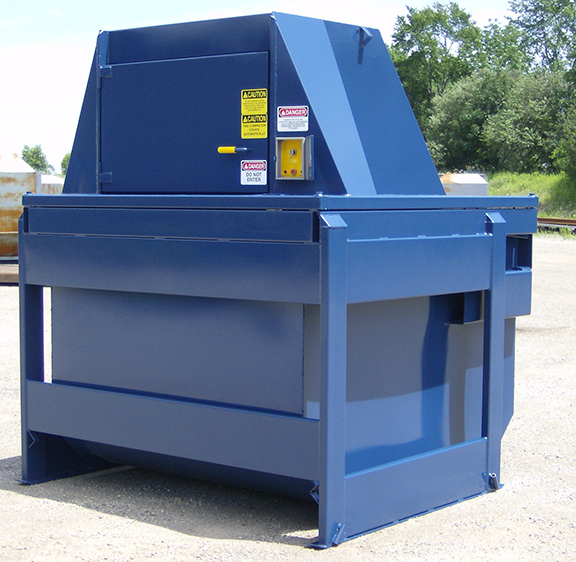 Our single cylinder stationary compactor has been created specifically for the toughest applications. Feed capacities, compaction force, and loading options can be adjusted to suit your specific needs. Efficient, safe and created with the user in mind. Automatic bale and front of the unit bale tie off, combined with a low feed height and larger opening make our vertical baler the perfect selection. 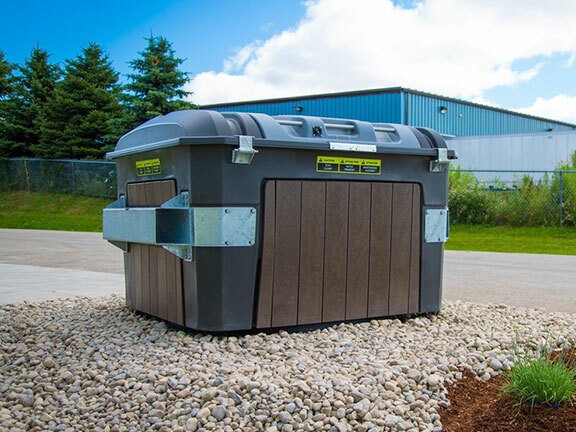 EarthBin™ delivers a practical and accessible design that eliminates the enclosure, reduces odour, and is significantly more efficient than a dumpster. Which equipment is right for you? AC Waste Services Inc. – Your Waste Equipment Specialists! 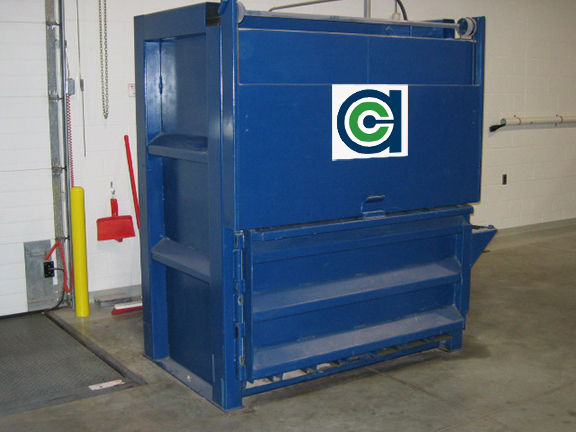 We design, implement, and finance customized waste management systems for our clients. Based out of Toronto, Ontario, AC Waste Services is ready to tackle your waste handling issues from coast to coast across Canada.